I was just checking out the new term over at fxphd and noticed a little something some of you may be interested in; a new unannounced plant modelling software from e-on (makers of Vue) called “The Plant Factory”. Theres also a slightly older post showing some examples of plants made with the plant factory. Looks really really good! Check them out. 3d, e-on, e-on software, modelling, software, the plant factory, vue. Bookmark. 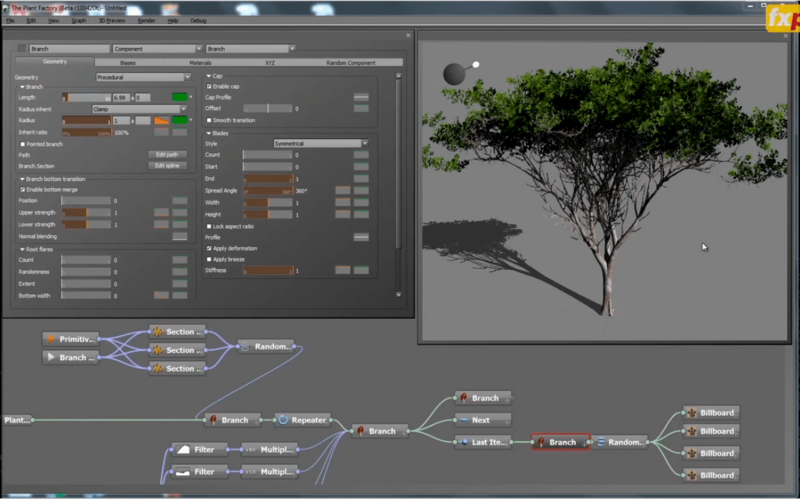 All this looks nice, except the fact that you can’t do much with models you create with The Plant Factory. e-on “sole discretion” arrangements for distribution of content means that they may allow you to sell your work on their Cornucopia 3D website, but also may not allow it, or may ask you to give them 90% from sales of “yours” models.